Windows introduce a number of threats into the workplace. 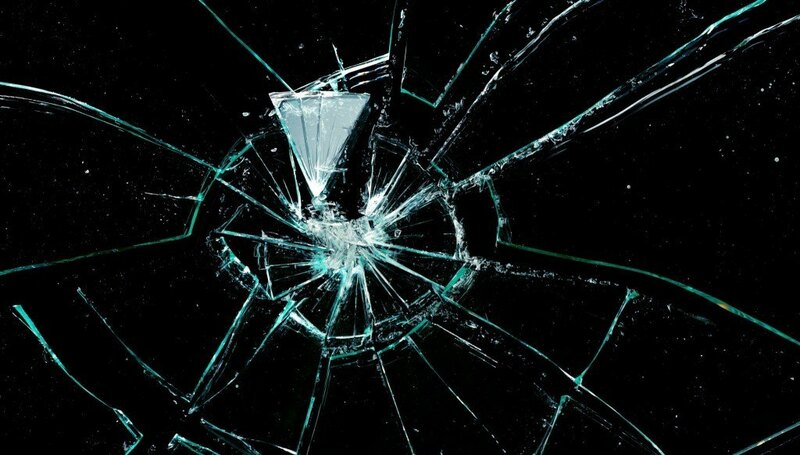 When shattered, razor-sharp glass pieces become airborne, causing injury, property damage, and even fatalities. Then, an opening into a building resulting from a broken window allows for another assortment of potential problems such as robbery, looting and damage from exposure to the elements. Additionally, even without breakage, glass windows are defenseless against a host of new, information-gathering technologies which can be used to rob a company of its intellectual property and secure data. Armorcoat safety and security window film offers the most complete protection available against these glass-related threats. With a simple professional installation by Arizona Solar Control, your facility can go from a potential disaster target to a fortress of safety for your employees, property and information. This strong, resilient window tint has long been the most trusted name in protection, keeping millions of people around the world protected from the hazards of broken glass. When an explosion occurs, glass shatters and becomes airborne, causing devastation for anything in its path. This is where Armorcoat saves lives. Because Security Window Film is flexible and able to stretch, it can absorb a significant degree of the shock waves from an explosion. Ordinarily the force would push glass inward to the point of breaking, then send shattered glass flying throughout the building’s interior. However, with Armorcoat, even after the glass breaks, the film is able to “bend” with the force of the wave. After it is pushed from the frame, its bond holds the broken glass shards to the film – safely away from people and property in this manner. Armorcoat greatly reduces the risk of injuries and damage during an explosion. The Armorcoat line also has a special version of safety film that offers protection against a newer, more calculated crime – the theft of intellectual property. With all of the data that is continuously transmitted these days, a new breed of crook has evolved; however, he still uses the weakest point in any facility to gain entry – the glass windows. Armorcoat’s superior composition incorporates full spectrum attenuation technology, putting up an “invisible wall” and protecting your company from having these highly confidential emissions intercepted. No matter what industry you’re in, your business is susceptible to vandalism and theft. And to a thief, a broken window is an open door to the valuables locked inside. Your merchandise, electronics equipment, office furniture and other costly materials can all be damaged or gone in a matter of minutes after a criminal gains entry. Luckily, Armorcoat eliminates a burglar’s easiest access route – a broken window. By holding broken glass together after breaking, illegal access is much more difficult and less likely to occur. School safety is more important than ever. Armorcoat provides protection against attacks. In the same way that Security Window Film protects and saves lives during a blast or explosion, its superior glass-retention properties are equally effective during storms and natural disasters. When high winds, hail storms, earth tremors or the like threaten the stability of a building, Armorcoat does its job by holding windows and glass firmly intact – away from the people and property it could cause harm. Even large-scale facilities are susceptible to damage during violent weather or acts of nature – once a window is shattered, the building’s envelope is unsecured. Then, anyone or anything inside can fall victim to harsh weather and damage resulting from exposure.